Increase your visibility to potential visitors with an advertisement in the ROS Brochure. Participating artists get a special discount on all ad sizes. 1. Click Here to download the complete Sponsorship Package. This package includes sponsorship rates and brochure advertising specifications. The sponsorship deadline for participating artists is July 30. 2. Click on the button below. You will be taken to a Sponsorship Application Form. 3. After clicking CONTINUE at the bottom of the form, you will be taken to a payment page. You can pay either with a Credit Card or with a PayPal Account. Although credit card payment is preferred, if you would like to pay by check, there are instructions at the bottom of this form. 4. We will contact you to coordinate your sponsorship and ad placement. 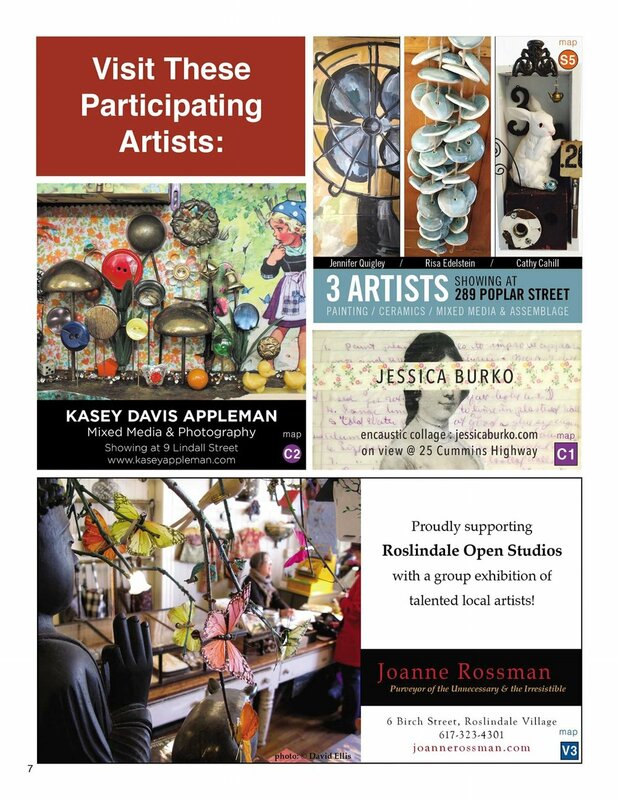 If you have any questions, contact us at sponsorship@roslindaleopenstudios.org.